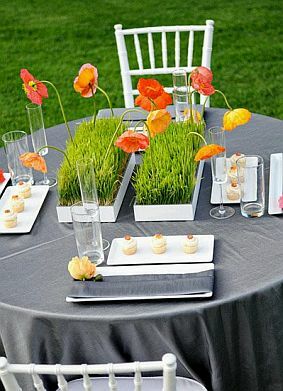 The centerpieces are very important part of the decoration of a wedding, remember that each of them is carefully observed for each guest and sitting around it, is precisely the reason that you should be very careful when choosing them. 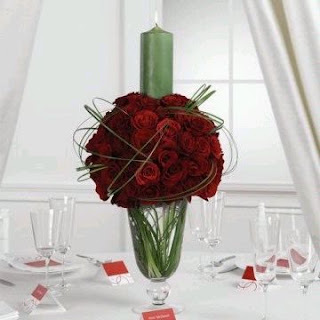 These items should be part of the rest of the decor, for that reason is that they must follow the same line, ie if red flowers were used to decorate the room, ideally the same flowers are present in the centerpieces, the same is true if you had used fruit, candles, or anything else. 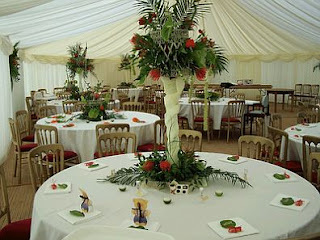 Original floral arrangement of two levels connected by a bracket lined with the same fabric used to decorate ceilings and walls. 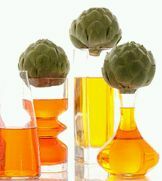 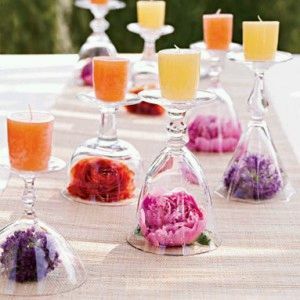 Probably few centerpieces are so original and risky as this, it is filled with glass bottles and aromatic oils in the upper part, as a cover, a beets. At first glance, this centerpiece would have nothing original, but looking at it closely you will notice that all the flowers and details are made with vegetables. 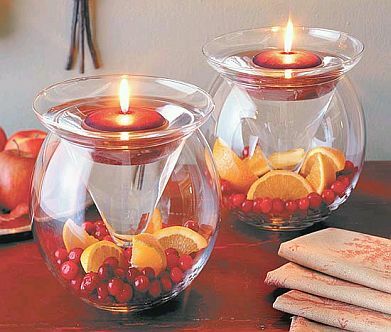 If you plan to use candles and fruits in your ceremony, this arrangement has both ingredients, but can be set carefully note that within rounded containers were placed bowls filled with water. 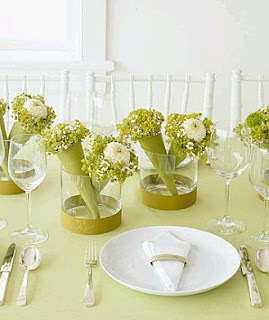 Jovial centerpieces, it is "ice cream" made from flowers, used green and white flowers, however, you can use the color of flowers that best suits your decor. Items that are normally used in the decoration of a wedding, glass vase, red roses and candles, however, the peculiar arrangement thereof, is what makes this score a original centerpiece . 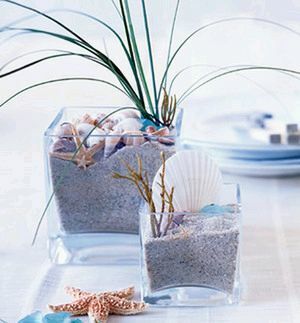 If your wedding theme is the sea, here's a cute centerpiece, elements such as sand, starfish and sea shells are complemented perfectly with algae and branches. Original centerpieces, these cups are flipped inside which different colored flowers and candles on top. 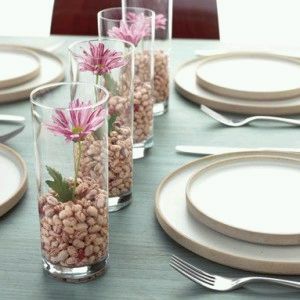 Simple, but beautiful, these centerpieces are simple vases tube containing wheat and half a flower, if you prefer, you can use stones or gems, and of course, the flower that suits you. 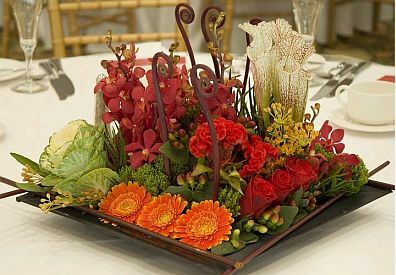 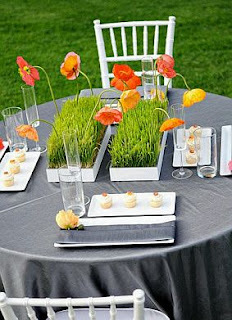 If your wedding is outdoors or be held during the day, this simulation of small gardens, could be the centerpiece indicated.